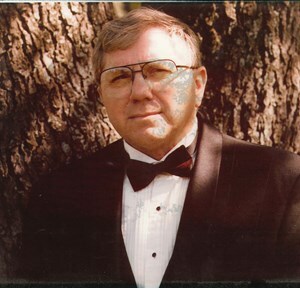 Earl Douglas Carver, 78, of Greenwood, passed away on June 16, 2018. Doug was a lifelong resident of the Greenwood and Indianapolis area. He was born at home on February 13, 1940 on Taft Street in Indianapolis. He graduated from George Washington High School in 1959 and worked at Amtrak Beech Grove Facility for 23 years. He was previously self-employed in HVAC services and Stark & Wetzel / Rath Meat Packing Company. He enjoyed golfing, architectural drafting, hunting, wood working and loved spending time with his family and friends. Doug is survived by his wife: Rita J. Carver: sons: Edward Carver; Mark Carver and his wife Bobbi; Grandchildren: Laura Conley (Josh), Meghan Carver, Nathan Carver, John Alan Donnella, Jennifer Carver; great-grandchild: Jaxon Conley; siblings and their spouses: Sue Carol & Joe Harper, Sharon Bennett, Kathleen Carver, Linda Robertson, Lester & Veda Carver and Tom & Rhonda Jones; and a host of other family and friends. Doug was preceded in death by his mother: Moil (Bandy) Jones; father: Alton Carver; maternal grandparents: Falconer & Anna Bandy: paternal grandparents: Alex & Betty Carver; uncle: Douglas Bandy. Visitation will be on Friday, June 22, 2018 from 10 A.M. until his Funeral Service at 12 P.M. at Newcomer - Indianapolis Chapel, 925 E. Hanna Ave., IN 46227. Interment will follow in Calvary Cemetery. In lieu of flowers please make memorial contributions to the American Heart Association. To share a memory of Earl or leave a special message for his family, please click the "Share Memories" icon above. Add your memories to the guest book of Earl Douglas Carver. My deepest sympathy for the loss of your brother. Please extend my sympathy to his wife and children as well.